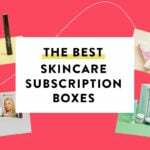 GlossyBox Cyber Monday Deal – 25% Off 6-Month Subscription – 3 Hours Only! Now through 11/28 8:59 pm ET, get 25% off of a 6-month subscription! No coupon code necessary, bonus will be added automatically in checkout. Full details: Offer valid through November 28th, 2016, 8:59 pm ET. Available while supplies last. New plans will begin the date they are created and cannot be combined with an existing subscription/order. Apply code in the Enter Promotion Code section at checkout. If code does not apply successfully before checkout, it cannot be added at a later time. One code per customer; cannot be combined with other codes/offers/promotions. Not available for Canadian residents. Only available in the continental United States, excluding Hawaii & Alaska. Any word on this issue, the price doesn’t seem to change when attempting to purchase. I would hate to sign up and get stuck on full price. Thank you for your time and help. Yeah, same for me. 🙁 I really wanted to subscribe, but the code didn’t work. Just refreshed Firefox and tried again and HOLIDAY25 worked! Glossy box called me today to see if I would resubscribe for 12 months at 25% off. I told them no because when I subscribed last year it was for around 8.75 a box. Trying to remember how I got that fantastic deal. Has anyone tried this! I can’t get the price to reduce. I even tried the code in the email they sent and it says not valid. Couldn’t use it either. Tried using the code in my email too and didn’t work. Don’t really understand what the point of trying to get people to subscribe, did they think we’d just give up and say, oh, sure, I’ll pay full price!